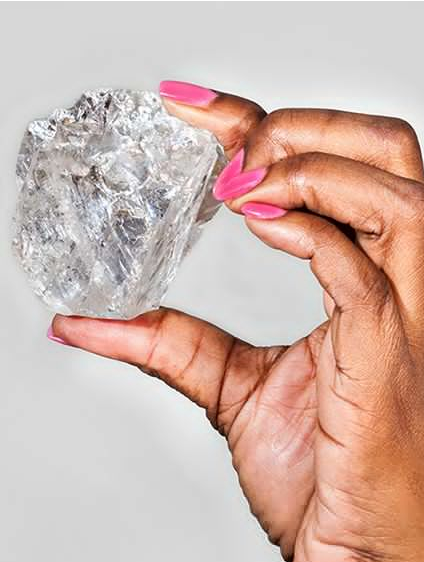 Extracted from a Botswana mine by Lucara Diamond Corp., this massive 1,111 carat stone is the biggest gem-quality diamond discovered in the past century, Bloomberg Business reports. In lay-gemologist terms: it's size is somewhere between a clementine and a tennis ball! Bloomberg also notes it might be years before anyone buys the history-making treasure. Whoever it is will likely be an ultra-ultra high-net-worth diamond collector, and that collector will need extremely deep pockets. 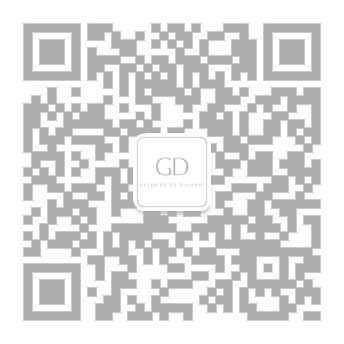 Right now, the diamond is technically priceless, as it must be processed and cut before it can be valued. For comparison in the meantime, Lucara recently unloaded a diamond of the same quality and about a third of the size for $20.6 million — or $60,000 per carat. The only diamond to outdo this hunk of bling is the Cullinan diamond, unearthed in South Africa back in 1906. Weighing in at 3,106 carats, the Cullinan was cut into nine smaller stones. The two largest can be found in the British monarchy's Crown Jewels.